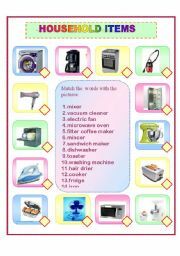 This is a board game which can be used for practicing word order. Group the students in fours and give each group a die and a board. They have to get from START to FINISH. To do this they throw the die, read the sentence and decide if it is correct or not. If not, they have to correct it. 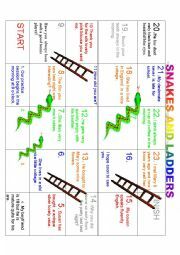 To design the game I have used a template from this site. 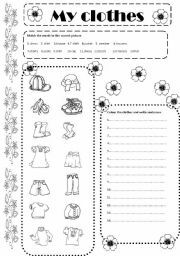 A simple worksheet to practice writing items of clothes and colours. 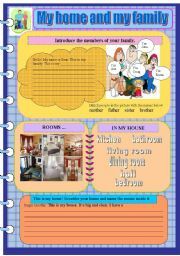 Revising food and adjectives related to food,family members,rooms and furniture. 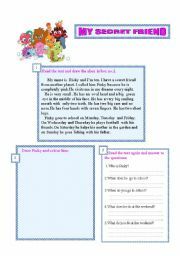 A reading text focused on daily activities ,followed by two reading comprehension activities.Not diffficult. 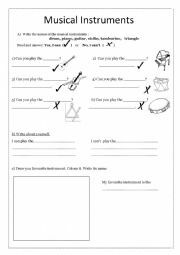 This worksheet aims at getting students practice the correct place of adverbs of frequency and time adverbs. 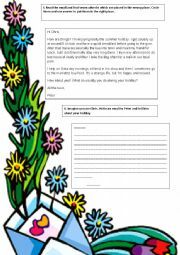 After checking their answers ,they can use the email as a model and write a reply. 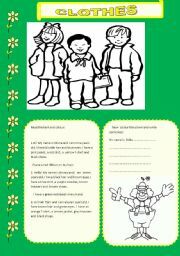 This worksheets is designed for primary school students. 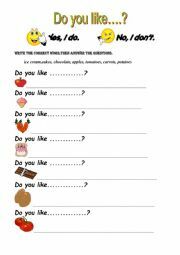 The aim is to help students learn some vocabulary related to food and express likes/dislikes.